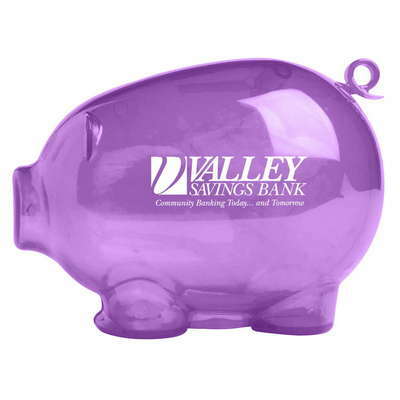 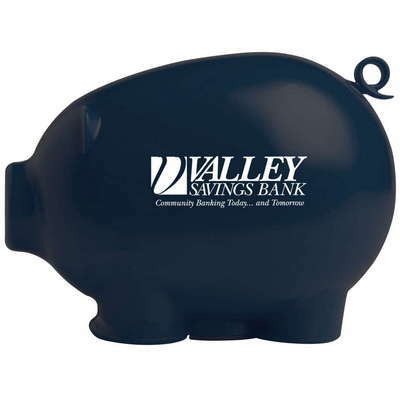 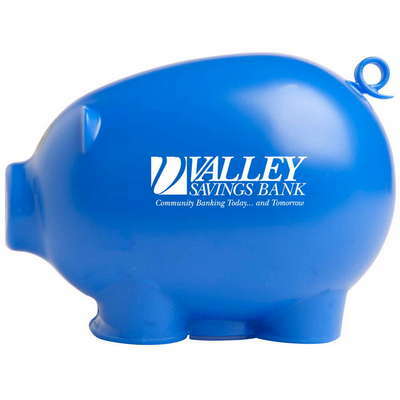 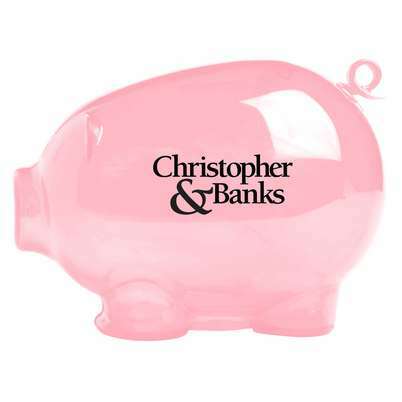 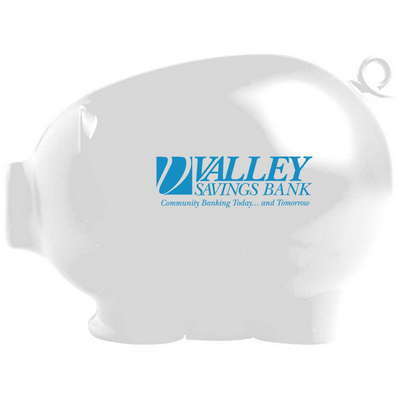 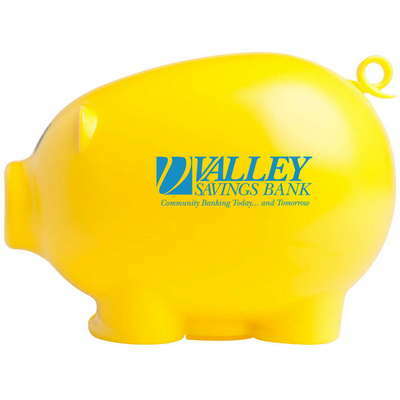 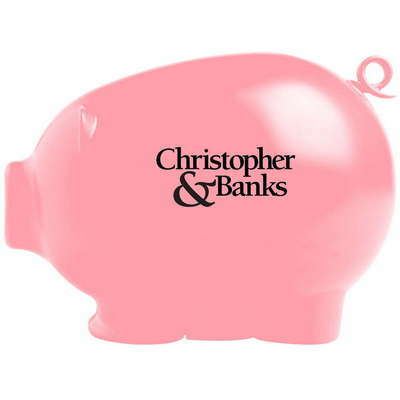 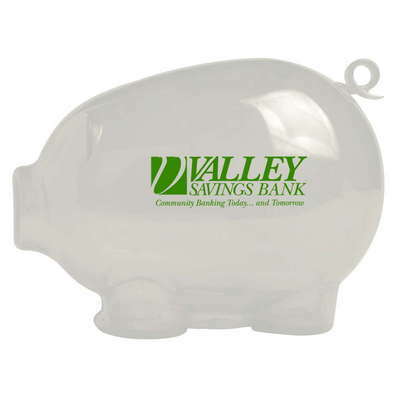 This customizable piggy bank features a classic design and single logo imprint. 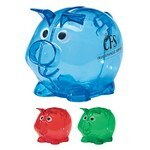 Get children interested in saving their pocket money and your customers to reminisce about their younger years with the Action Piggy Bank. Pad print your company’s logo on this fun and useful giveaway and reap great dividends on your marketing investment. Just drop your change in the top slot of this piggy bank and watch the tail move as the coins are deposited. 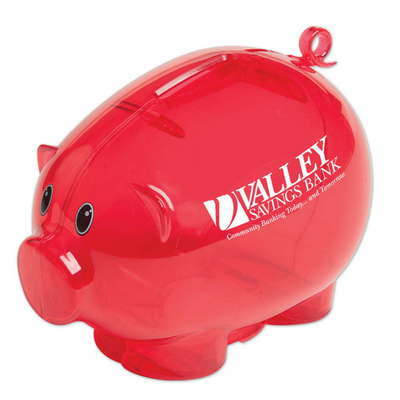 There is an easy-to-use twist-off bottom plug for release of money. 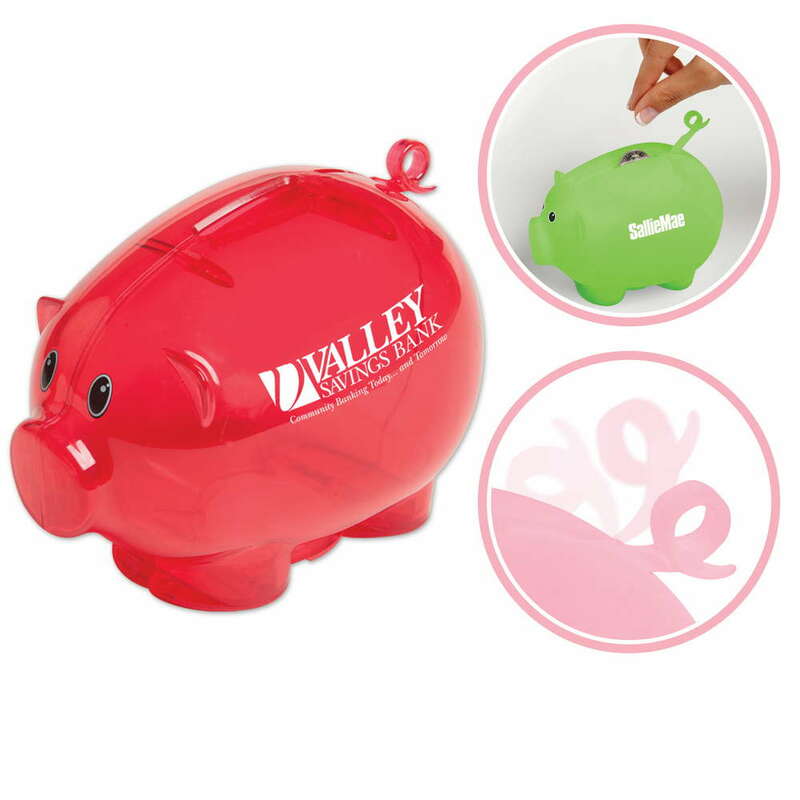 It makes an ideal giveaway for schools, trade fairs, carnivals, credit card companies, and community events and is the perfect promotional item for your brand.